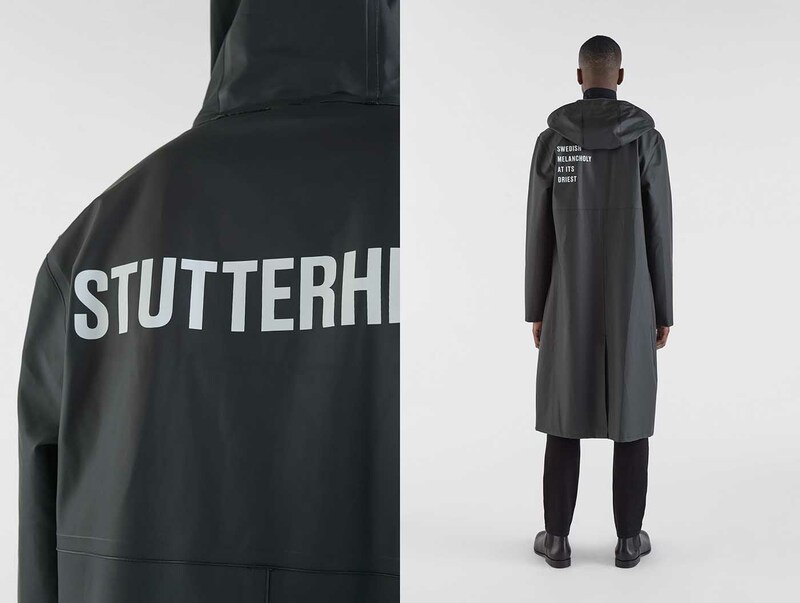 The Autumn/Winter 2018 collection presented by Swedish premium outerwear brand Stutterheim is a result of wanting to go back to their roots while also showing off a never-ending curiosity to enter previously unexplored territory within the sphere of protective outerwear, as a number of new materials and styles are introduced. 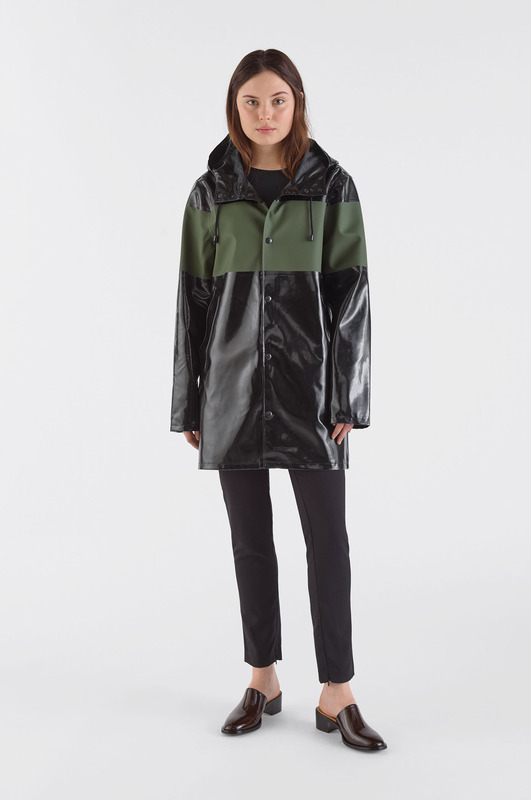 In many ways, the AW18 collection is based on contrasts and opposites, offering fashionable yet functional rainwear for all kinds of wet weather and temperatures. 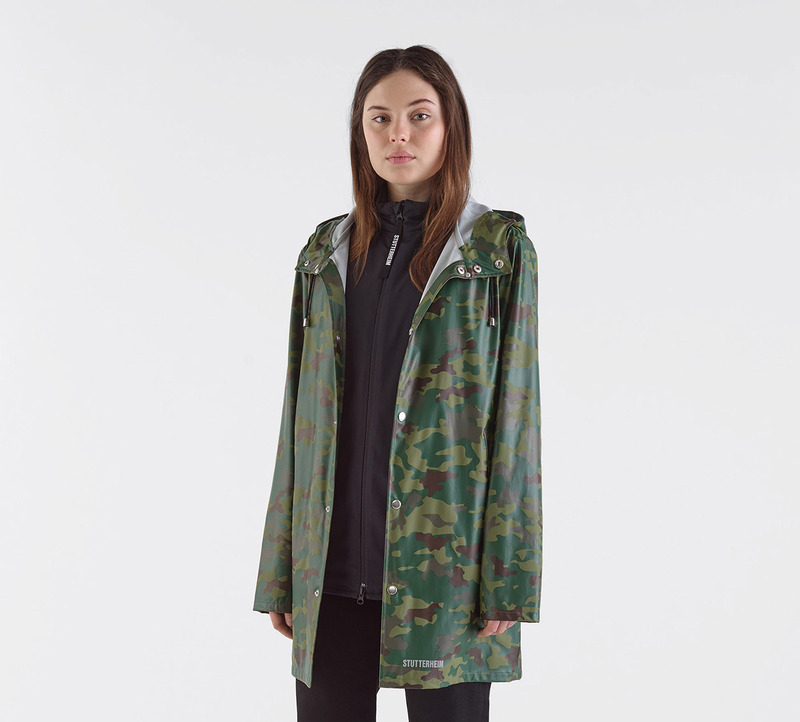 It includes the brand’s first padded winter parka, perfectly suited to both rainy and snowy winter days. 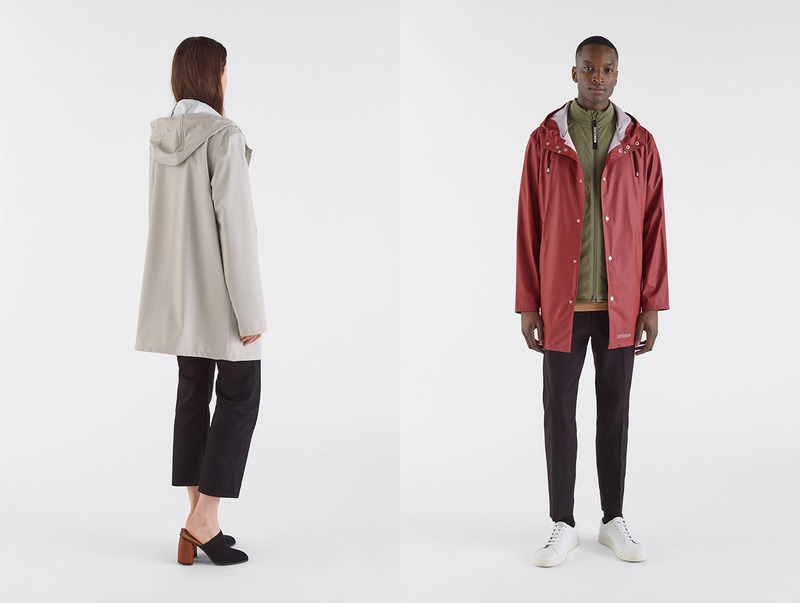 At the other end of the scale, the classic Stockholm and Mosebacke styles are now presented in a lightweight version, along with a number of styles in a new, breathable material – all to meet the demands of markets with warmer climates. 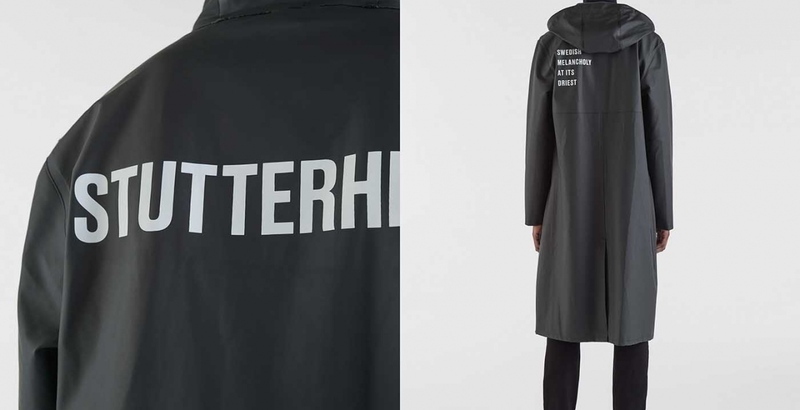 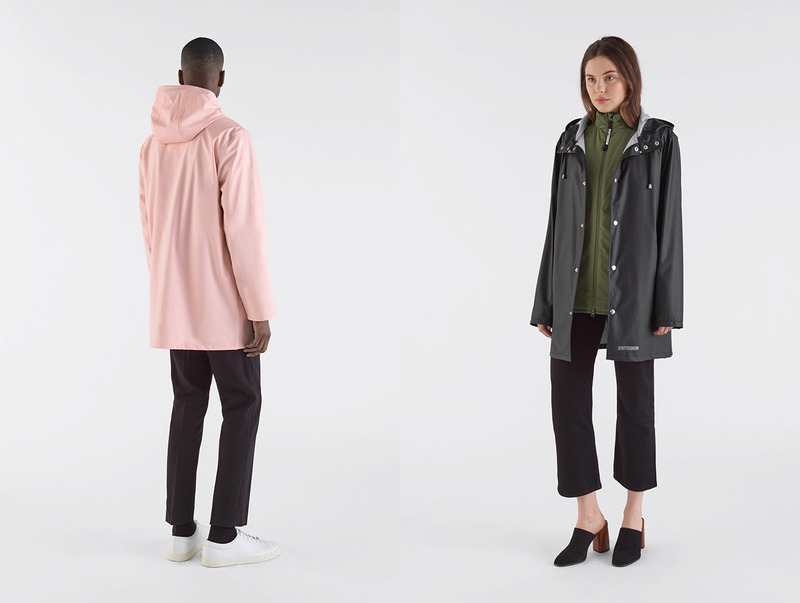 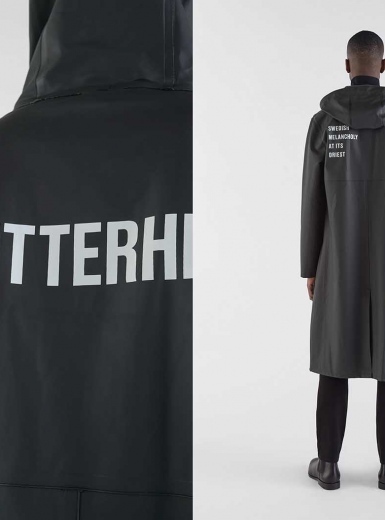 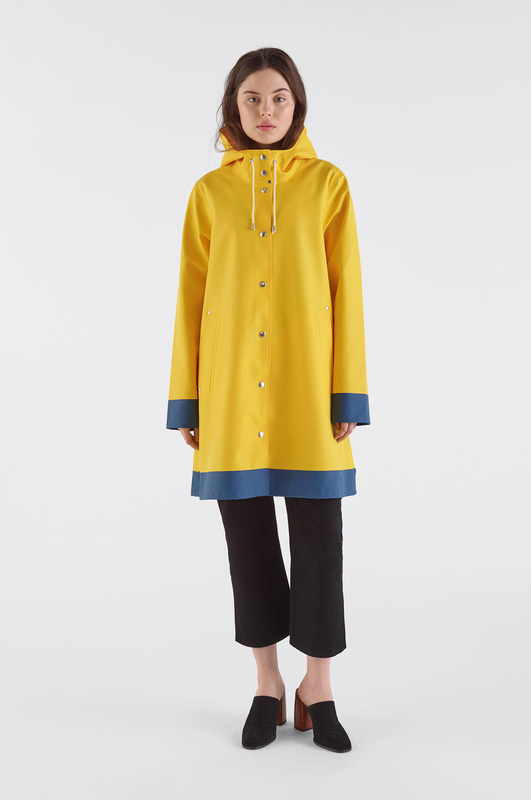 ”This is the most functional collection Stutterheim has presented to date, but that doesn’t mean we’ve compromised on our aesthetic values and design principles.” says Founder and Creative Director Alexander Stutterheim. 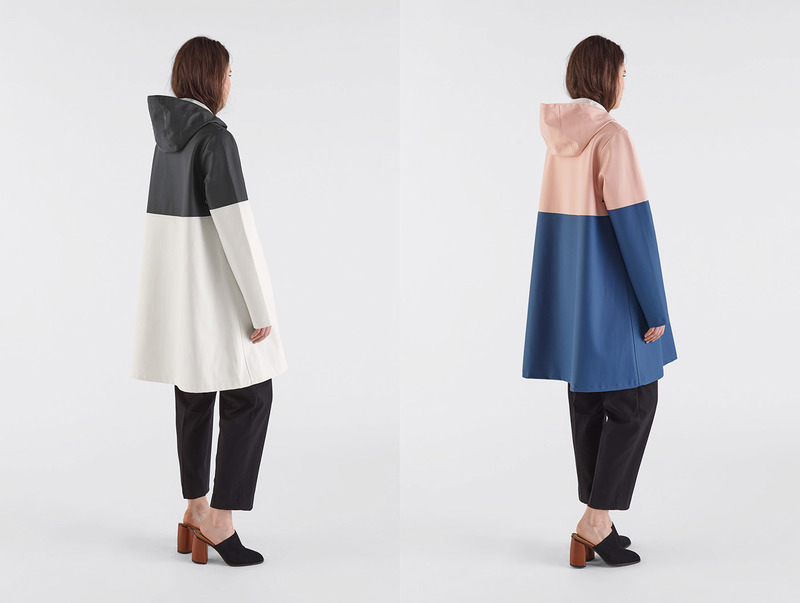 Four new seasonal colors are presented, all in muted and subtle hues. 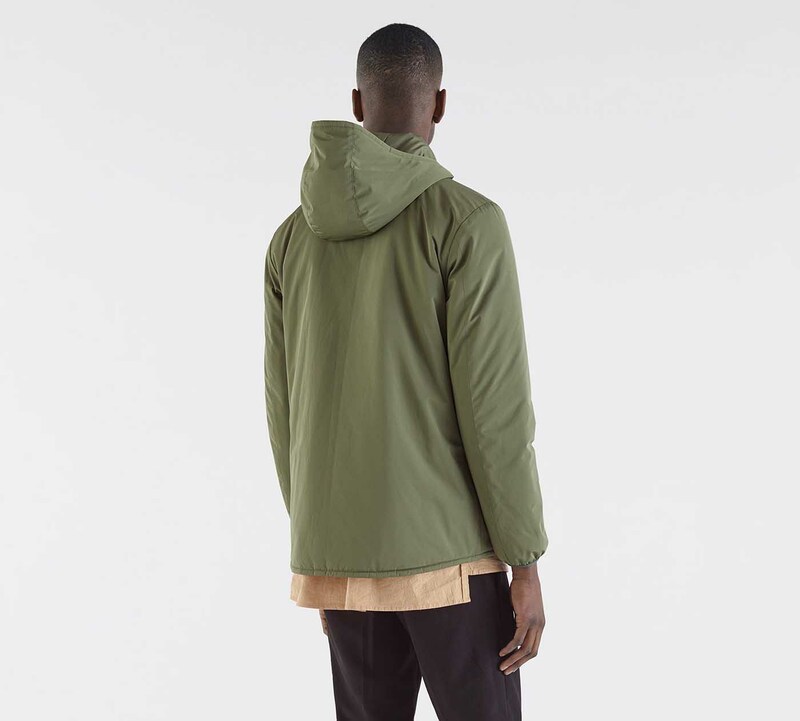 Barn Red and Green Willow are a glimpse of traditional Sweden, representing a typical Swedish cottage surrounded by the forest, while Indigo and Camel are inspired by new traditions and cultures. 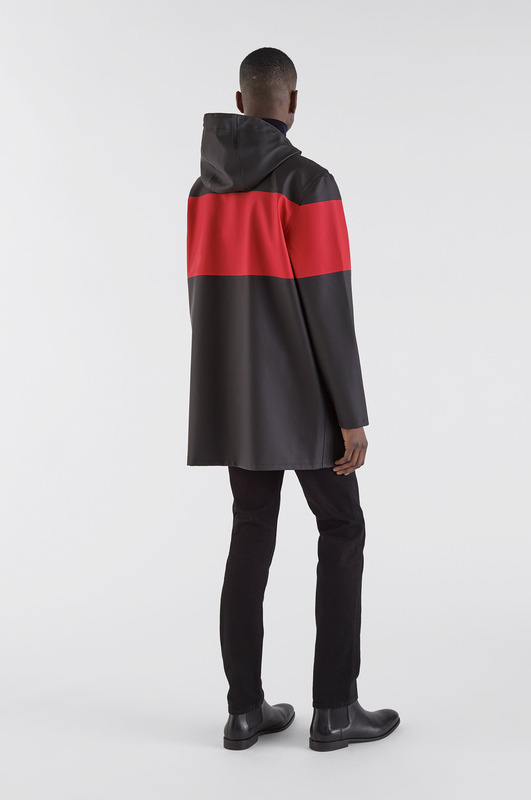 The notion of contrasts is also explored through the lens of award-winning Swedish fashion photographer Elisabeth Toll, for the seasonal campaign photo shoot. 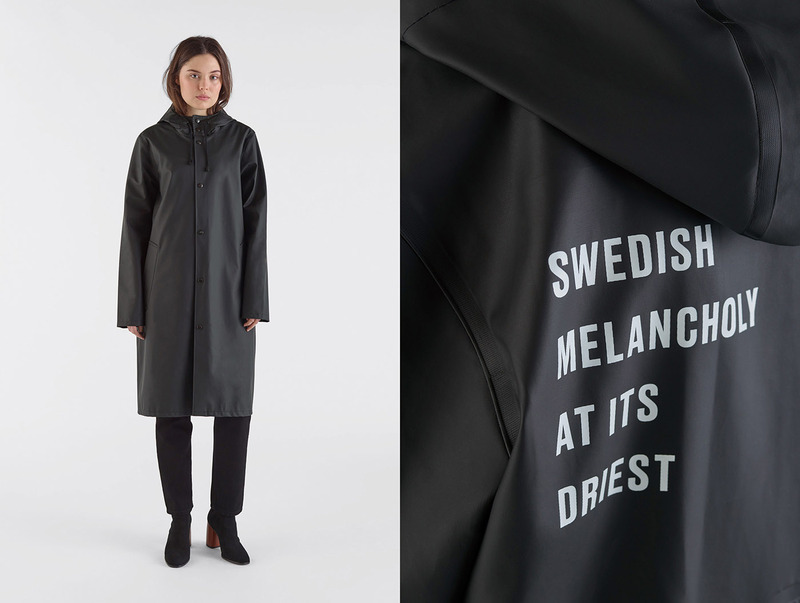 Under the concept of ”Pray For Rain”, Stutterheim invited principal dancers Nadja Sellrup and Oscar Salomonsson from the Royal Swedish Ballet to explore the relationship between melancholy and creativity through the world of dance. 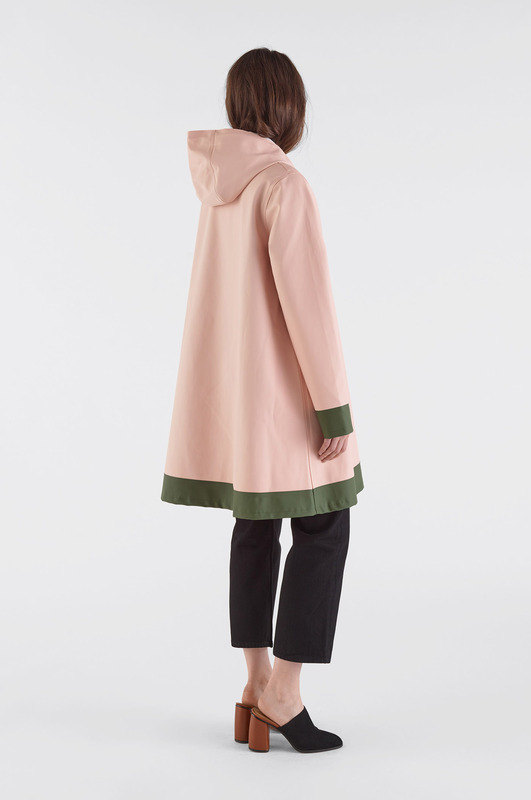 Inspired by the ancient rituals of rainmaking, the result is a vibrant merging of traditional rain dance and Swan Lake, where the classic art form of ballet meets contemporary design and photography. 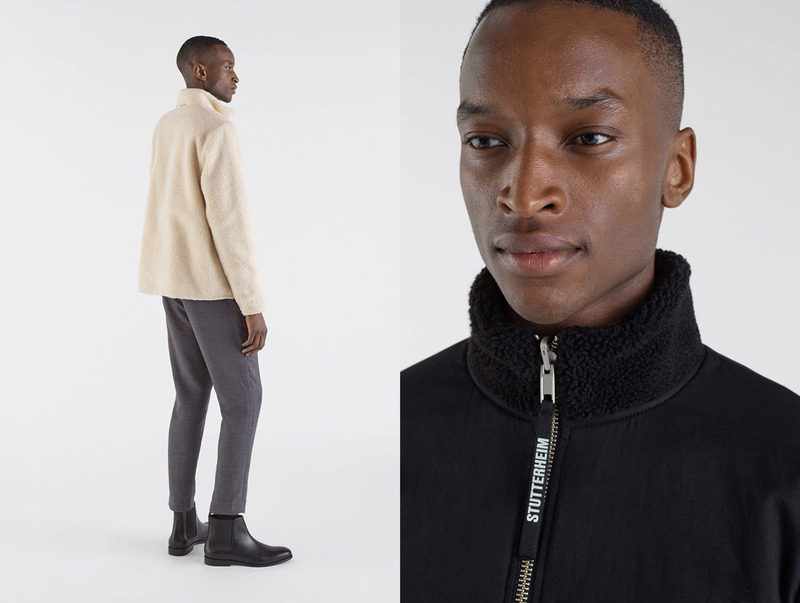 The AW18 collection will be available in stores as well as online from August, 2018.